William Simpson was one of the most widely travelled British watercolourists of the Victorian period, reaching Egypt, India, Tibet and China during the course of his career as a professional illustrator. 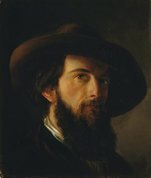 However, it was his reportage of the Crimean War that made him famous as a war artist and earned him the name ‘Crimean Simpson’. At the outbreak of hostilities Simpson was commissioned by P & D Colnaghi & Co to make on-the-spot sketches of the conflict for publication, arriving in the Crimea in November 1854. The resulting watercolours were dispatched back to London and submitted for inspection to the war minister, Henry Pelham-Clinton, 5th Duke of Newcastle, and Queen Victoria, before lithographs were made from them by the leading firm of Day & Son. A two-volume publication, The seat of war in the East , comprising 81 tinted lithographs, appeared in 1855–56. Simpson also painted Crimean subjects unrelated to this project. The Art Gallery of NSW’s watercolour, Retreat of the Russians from Sebastopol , is a preparatory study for the more highly finished watercolour, The fall of Sebastopol 1856 – Simpson’s largest known work, which belonged to the 5th Duke of Newcastle before entering the National Army Museum, London. It was reproduced as a chromolithograph and published by P & D Colnaghi & Co in 1857. In 1866 Simpson joined the staff of The Illustrated London News as ‘special artist’, and spent more than 20 years covering international events for the popular newspaper. 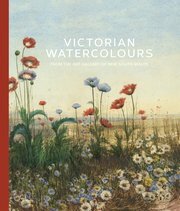 He was elected an associate of the Institute of Painters in Water Colours in 1874 and a full member in 1879. His memoirs were published posthumously in 1903 as The autobiography of William Simpson, RI .